Will Eddie make the 2020 European Ryder Cup team? Eddie Pepperell is targeting winning a major and securing a place on the Ryder Cup team in 2020 following his British Masters success. 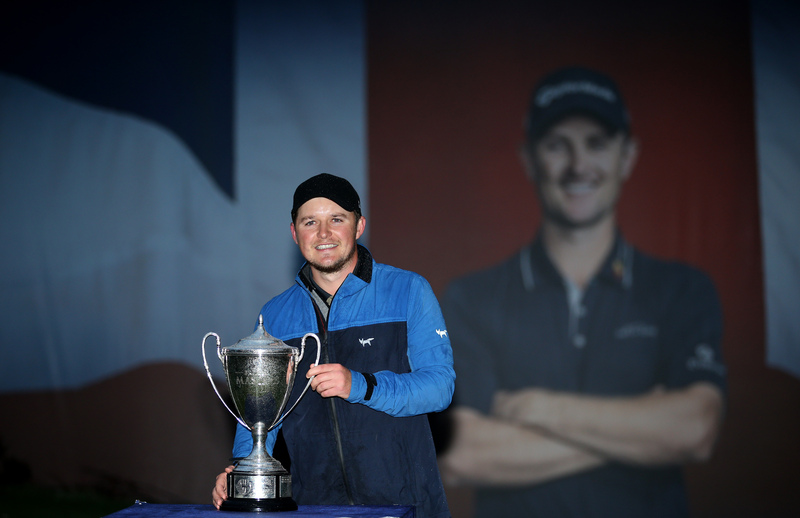 Europe will defend the trophy at Whistling Straits in America next time and Pepperell expects his game to have improved enough to make that team, along with a major title. “Absolutely I should be targeting those things, I think they are achievable, so I’m not putting any pressure on myself on that front,” Pepperell told Sky Sports News. “I think there are certain tournaments that are maybe more favourable, maybe more suited, to my style of game but we will see. “I think this year would have been premature for me, even though I came close to making the Ryder Cup team. But certainly in 2020. I think mentally I’m ready for it, mentally I was ready for it this year, whether the game was there or not I don’t know but come 2020 I sure hope I will be a qualified member of that team. Pepperell insists he did not play as well as he could have despite a two-shot win at the British Masters and he is looking to improve aspects of his game for the remaining tournaments this year. “I just told myself if I’m not going to play great – which I didn’t – then I had to be ready to battle and that meant having a great attitude and sticking in for four hours. “It’s sometimes easy not to do that on tour because when you’ve had some relative success like I’ve had, it can sometimes be easy to have a ‘let it be’ attitude, but yesterday I took it on, I tried to grab it by the throat.